Hit the slopes at Hokkaido’s trendiest new ski resort, and get ready to ride a different wave. Sprawled across over 145 hectares of Tomamu Mountain, Club Med introduces a thrilling snow escape where powdery perfect slopes are just waiting for discovery. Fresh seafood, premium Wagyu beef, and award-winning locally brewed spirits make this more than a destination to discover, but a culinary journey to enjoy. From skiing and snow trekking, to riding Japan’s largest indoor wave pool at nearby Hoshino Resort, guests seeking winter excitement to share with friends and family will find it at Club Med Tomamu Hokkaido all-inclusive resort. Slopes, Sunshine, and Savoury cuisine. Make your next holiday unforgettable at our Hokkaido all-inclusive resort, where winter sports, new adventures, and culinary journeys abound. With endless ways to discover excitement day and night, define your own getaway with these five distinct experiences to enjoy during your stay. Strap into your skis or snowboard and hit the slopes at the hottest Hokkaido winter wonderland. Gear up with our rental equipment and take to the slopes for endless half pipes, tabletops, kickers, rails, and boxes to catch some big air. Try snow sledging and our ice slide, or take a stroll out over the deep powdery mountain scape with a snow trekking adventure. With over 145 hectares of powder to play in, state-of-the-art equipment, and expert G.O.®s to guide you with group lessons, discover an extreme snow escape you won’t soon forget. 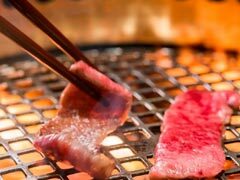 At our specialty restaurant, Haku, relish an authentic yakiniku barbecue experience that you grill right at your table. Sample a variety of fresh beef—including premium cuts from local Hokkaido beef to Wagyu beef—or try something from our menu of seafood options for an unforgettably fresh dining experience worth sharing. Blending old tradition with modern trend, The Nest bar at Club Med Tomamu Hokkaido offers a daily immersion into some of the best local whiskies and sakes. 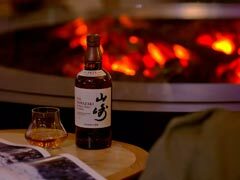 Poured by a knowledgeable bartender, enjoy a guided tasting of premium Japanese whiskies like award-winning Nikka and Suntory’s single malt Yamazaki or Hakushu, as well as local sakes, while savouring light bites to pair. *Additional costs may apply. Within minutes of our Hokkaido resort, enjoy access to the iconic Ice Village where ice skating, ice slides, ice restaurant, and even cocktails served in ice glasses at the bar set a snowy scene. This evening destination is unlike any place else, with an ice wedding chapel that is an elegant choice for sharing sacred vows in a space that’s as memorable as the occasion. *Additional costs may apply. Visit nearby Mina Mina beach, Japan’s largest indoor pool, to ride a totally different wave. Float, swim, or even paddle board, and enjoy warm waters all winter long. For a relaxing experience, the indoor/outdoor Japanese public bath, Kirin-no Yu offers a peaceful reprieve. Included: Drinks served by the glass and at the bar only: water, fruit juices and sodas, hot drinks and cocktails with and without alcohol, wines and local and international spirits. * Minimum drinking age in Japan is 20 years old. Settle into cosy seating with cocktail tables or at the bar and enjoy a selection of small bites and a curated tea lesson at The Nest. Guests can also take part in the bar’s immersion into some of the best local whiskies and sakes. Poured by a knowledgeable bartender, they may enjoy a guided tasting of premium Japanese whiskies like award-winning Nikka and Suntory’s single malt Yamazaki or Hakushu, as well as local sakes. Mahjongg as well as live music set the scene. Please note: The Nest bar welcomes you during the winter months from February 2018. 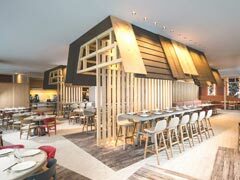 Unlock the flavours of Hokkaido with a savoury selection of fresh, locally inspired cuisine, including Yakiniku Barbecue, to tempt every palette. Please note: In accordance with Japanese law, Club Med may serve alcoholic beverages to guests aged 20 years and older. Savour a variety of international and Japanese delights, including the freshest fish, from our main buffet restaurant. 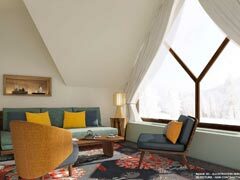 With 4 distinct spaces, each inspired by Hokkaido regions, the setting will surely surprise. Bucolic Valley, Farmhouse, Sea of clouds, and Rays of sun, with the Unkai Terrace (available in summer only), each offers a unique gastronomic adventure to share. For added convenience, a Baby Corner will offer a place to prepare special meals, and a variety of amenities to make dining with a young one relaxing. 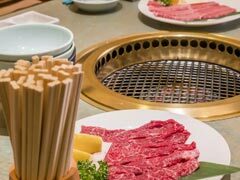 Imagine the scent of fresh yakiniku steaming off the grill. Haku, our Hokkaido resort speciality restaurant, prepares this beef Japanese delicacy to perfection paired with a selection of delicious side dishes to complement. Open breakfast, lunch, and for an à la carte dinner, enjoy an authentic dining experience with a design inspired by Japanese indigenous tribes to cap off an unforgettable day. Private rooms can be reserved for groups of 6-12, based upon availability. This restaurant will welcome you in Winter from January 2018. Discover the modern meets natural chic design of each of our 341 rooms and Suites. Crafted by award-winning architect and designer, Jean Philippe Nuel, our Hokkaido hotel embodies an urban aesthetic mixed with elements of Japan’s colourful four seasons throughout. Peerless mountain vistas are captured in every direction from both of the Resort’s buildings. 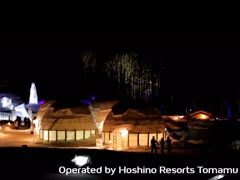 Perfect for honeymooners, families, or friends looking for an adventuresome escape, a holiday getaway to Club Med Tomamu Hokkaido Resort is unforgettable. 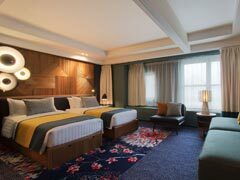 Cosy, comfortable and with room for couples or family, the Club rooms located in the Hidaka and Yubari buildings are as flexible as they are stylish. Warm wood tones meet modern pops of yellow and cool blues with an urban modern appeal in each room. 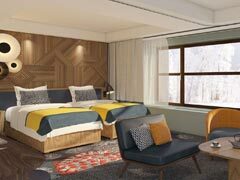 Guests can peer out expansive windows to take in the crisp views of our Hokkaido resort, and get ready for thrilling days in the great outdoors. Featuring a television and WiFi access as well as a well-appointed bathroom, the Club rooms are relaxing reprieves to return to after days of adventures and sports. Step into a stylish space all your own with our spacious Deluxe rooms. With plenty of space to host up to 5 guests, complimentary turndown service, and a well-appointed bathroom, comforts abound in this mountain escape. Spend the afternoon exploring and then retire to a room that enjoys entertainment comforts like a television and WiFi access for connectivity. 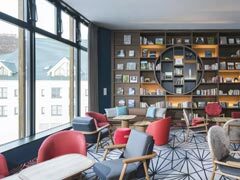 A separate lounge area is where the day’s plans are made and where stories from adventuresome days are shared. Drawing from over 40 years of Club Med experience with children’s programs, our Hokkaido resort offers a variety of playful pursuits and clubs for young children and teens to make their winter adventures unforgettably fun. With dedicated spaces specifically designed for their needs, equipment designed for comfort and safety, and certified G.O® with a passion for what they do, parents can enjoy their holiday away with peace of mind. 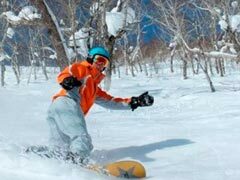 From skiing or snowboard lessons given by professional ski instructors, to creative activities and games for all ages, kids can dive into seemingly endless things to do in Hokkaido. Please note: Children’s clubs are conveniently open all week. 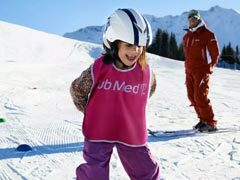 Petit Club Med (2 to 3 years) (extra charge), Mini Club Med (4 to 10 years) (included), Club Med Passworld (11 to 17 years) (included).